Facebook and the Bill & Melinda Gates Foundation are matching up to $2 million of funds raised on Facebook for U.S. nonprofits. Take The Lead is one of those organizations. Double your impact when you donate here. Because good leaders improvise and the pipeline for women leaders needs to start early, check out this new program for girls 3rd-8th grades. From the subtle to the overt, discover what you can do if you see ageism affecting you or your colleagues in the workplace. 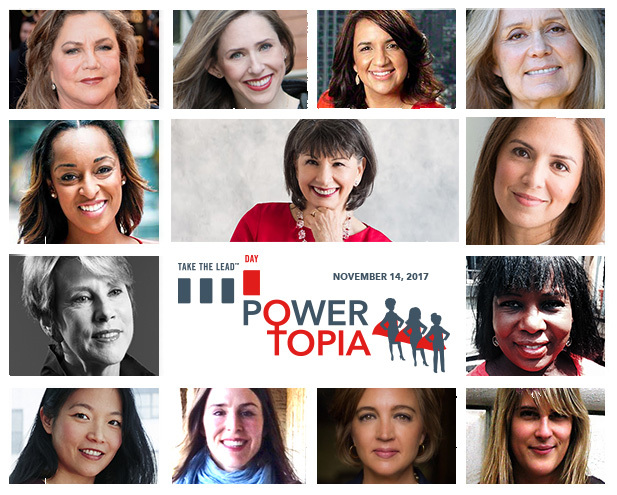 Register for Power to Lead: 9 Leadership Power Tools to Advance Your Career, a four-week self-paced, self-study online course for early to mid-career women that leads to unparalleled breakthroughs. Hurry to get the early bird price before December 1. Watch the Powertopia Panel, "Embrace Controversy: Gender Parity in Tech," with Patricia Jerido, Leadership Ambassador, Take The Lead; Alok Kapur, Senior Global Leader, SAP; Sara O’Brien, Tech Reporter, CNN Money (moderator) and Katica Roy, CEO, Pipeline Equity. More women in leadership translates to fewer sexual harassment events. See what companies have the best and worst records of female leadership representation. More women leaders have a background in playing youth sports. Set to purchase with an eye for change from Maria Contreras-Sweet. 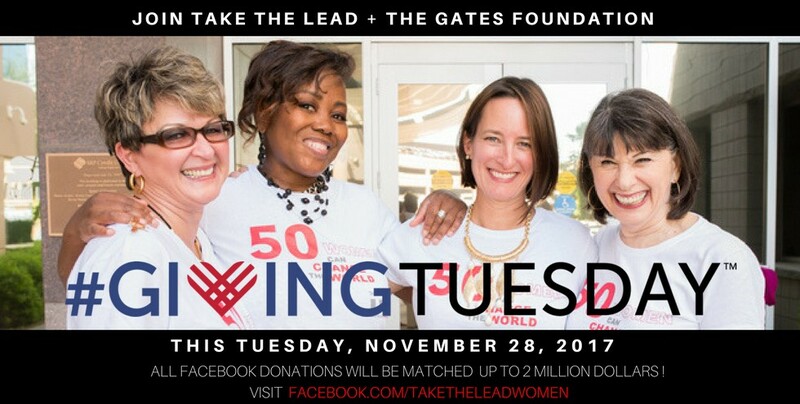 The Bill and Melinda Gates Foundation and Facebook join Take The Lead this #GivingTuesday, a global day of philanthropy. On November 28, the Gates Foundation matches up to $2 million of funds raised on Facebook for U.S. nonprofits. Take The Lead is one of those organizations. Your donation will help support free monthly Virtual Happy Hour interviews with women leaders, this newsletter and many more Take The Lead resources you can view here. Celebrate women's leadership equality with our limited edition, ‘Take The Lead,’ women's white t-shirt. This design is ethically produced in the U.S.A. and has a soft, buttery feel. ‘Wearing your truth’ creates such a culture. Each piece is a conversation starter and statement maker. 100% of the proceeds from this sale will be donated back to Take The Lead. Help us spread Love Over H8!